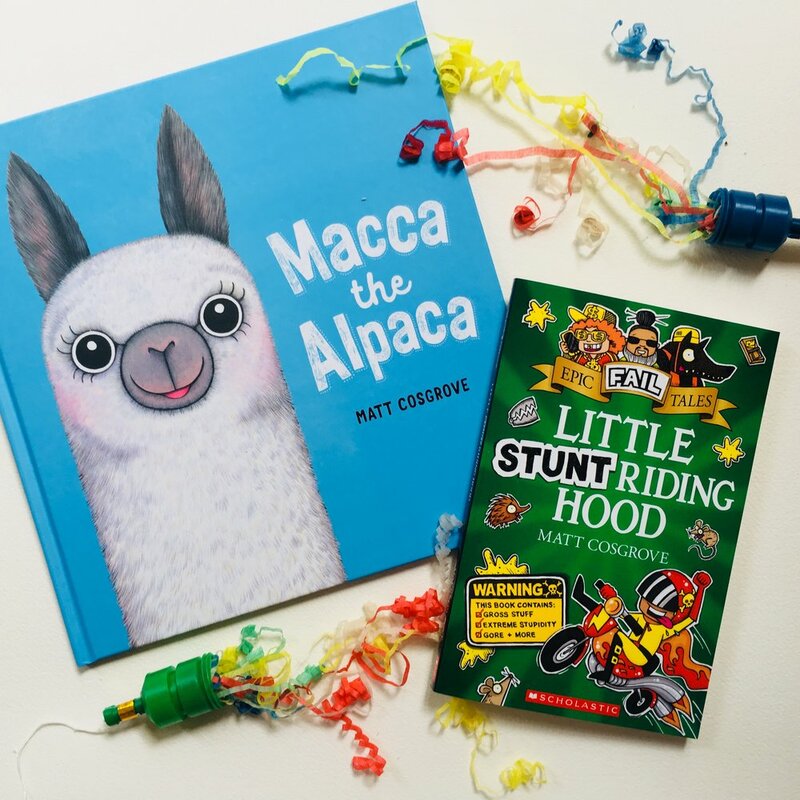 MACCA THE ALPACA & LITTLE STUNT RIDING HOOD - OUT NOW! Celebrating the official release of two very different books today! Macca the Alpaca is a cute picture book with simple, rhyming text for the little ones. It tells the story of a sweet, small alpaca who takes on a big, bully llama (named Harmer!) in a David and Goliath tale that shows brains can triumph over brawn and the importance of kindness. Little Stunt Riding Hood is the 3rd book in the popular Epic Fail Tales series for primary school kids. A cheeky retelling of the traditional fairytale, it is filled with thrills and spills but no happily ever after! Both books are written and illustrated by Matt Cosgrove, published by Scholastic and OUT NOW! EPIC FAIL TALES: LITTLE STUNT RIDING HOOD... IS ON ITS WAY! Start your engines and get revved up! The full-throttle third book in my turbo-charged Epic Fail Tales series, Little Stunt Riding Hood, is popping a fully sick wheelie into all good bookstores on the 1st of February 2018! Written and illustrated by Matt Cosgrove, published by Scholastic.